Meredith didn’t follow the typical “go west young man” life of so many of my ancestors. Meredith was born in Virginia about 1802. He went west as a young man to Bath County, Kentucky, where he married. He then moved west to Missouri. After several years in Missouri, he moved back east to Boone County, Indiana. He returned east again and settled in Carter County, Kentucky. Finally, he appears to have died in Bath County after returning to the place of his youth. The Mannin family bible clearly indicates that Meredith Mannin was born on 12 June 1802. Sadly, that family bible isn’t a contemporary source record. The bible record is from the Civil War record file of Meredith’s son Zachariah. The record appears to be written by one person at one time. It was clearly written after 1838 and probably not until the 1860s. The 1850 and 1860 Census records indicate he was 48 and 58 years old respectively, suggesting the birth year of 1801. The 1870 and 1880 census records re-establish his birth year as being 1802, consistent with the Bible record. It is unclear who his parents were. Some sources suggest that his mother, Catherine Barnett, married both John Bosel Mannin and his brother Meredith Mannin. I’ve accepted his father being John Bosel Mannin and know that I need to do much more research in this area. Nothing is known of Meredith’s childhood. Sometime in 1803 or 1804 the family relocated to Kentucky. Meredith and Rachel Fugate’s father signed a marriage bond on 14 February 1825. It is unclear if they married on that date or three days later, on February 17th. See: Marriage of Meredith Mannin & Rachel Fugate. Enoch was born on 3 January 1823, two years before Meredith and Rachel were married. While Rachel was 4-months pregnant with Isaac she and Meredith married. Meredith and Rachel had 12 children. Their first three children, Enoch, Isaac, and Thomas were born in Kentucky. About 1828, the family moved to Missouri and had three children while in Missouri – Tubill, Reuben, & Katharine. About 1835, the Mannin’s moved 250 miles back towards the east to Boone County, Indiana. There they had four more children, John, Mahala, Sarah, & Elizabeth. Finally, about 1841, the family moved back to Kentucky where their two youngest children, Zachariah & Tarlton, were born. 1 male 20 to 30. Meredith Mannin, Age 28. 1 Female 20 to 30 Presumed to Be Rachel Fugate, Age 26. In 1837, Meridith Mannin owned 40 acres of land about four miles north of Lebanon, Boone County, Indiana, in Washington Township, the SE ¼ of the NE ¼ of Section 12. Rachel died on 7 May 1870. The 1870 Census finds Meredith in Carter County again. Living with him are his daughter Sarah Jane, her husband and their three children. Also, with them are two of Meredith’s grandchildren. One more person, Rodeth Richard, probably Sarah Jane’s sister-in-law, is also living with them. I have been unsuccessful finding any death or burial record for Meredith. Several researchers suggest he died after 15 Jul 1885, several others suggest 15 July 1885. Find out the sources for the suggested death date for Meredith. 1830 Census (A) (NARA), Com, 1830 Census – Meredith Manning – St Ferdinand. St Louis County, Missouri. 1850 Census, Com, 1850 Census – Meradith Mannen [Mannin] – District 1, Carter, Kentucky. Online publication – Provo, UT, USA: Ancestry.com Operations, Inc., 2009. Images reproduced by FamilySearch.Original data – Seventh Census of the United States, 1850; (National Archives Microfilm Publication M432, 1009 rolls). 1860 Census, Family Search, 1860 – Meredith Manning – Bath, Maine – Page 131. 1870 Census (FS) (NARA), Family Search, 1870 Census – Merideth Mannin – Precinct 3, Carter, Kentucky. 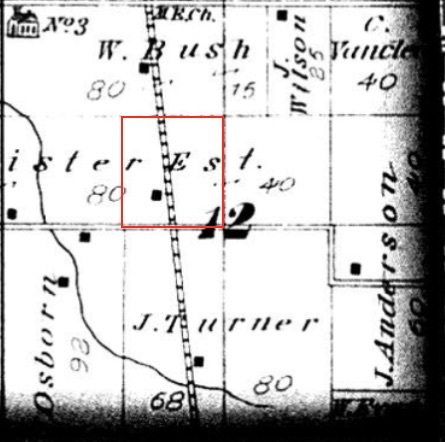 “United States Census, 1870,” database with images, FamilySearch (https://familysearch.org/ark:/61903/1:1:MX7P-1PB : 12 April 2016), Merideth Mannin, Kentucky, United States; citing p. 1, family 4, NARA microfilm publication M593 (Washington D.C.: National Archives and Records Administration, n.d.); FHL microfilm 545,953. 1880 Census, Family Search, 1880 – James Richardson – Tanyard, Bath, Kentucky. “United States Census, 1880,” database with images, FamilySearch (https://familysearch.org/ark:/61903/1:1:MCCM-LQ1 : 12 August 2017), Merideth Mannon in household of James Richardson, Tanyard, Bath, Kentucky, United States; citing enumeration district ED 7, sheet 362D, NARA microfilm publication T9 (Washington D.C.: National Archives and Records Administration, n.d.), roll 0402; FHL microfilm 1,254,402. Find a Grave, Find a Grave, Thomas Hillry Manning – Memorial 41718613 [No Image]. Find A Grave, database and images (https://www.findagrave.com : accessed 15 September 2018), memorial page for Thomas Hillry Manning (8 Mar 1827–4 Oct 1924), Find A Grave Memorial no. 41718613, citing Manning Chapel Cemetery, Carter, Carter County, Kentucky, USA ; Maintained by Norm Nelson (contributor 47026217). General Land Office Records (U.S. Department of the Interior), Bureau of Land Management, Merideath [Meredith] Mannin – Document Number 25537 – 40 Acres, Boone County, [Washington Township] Section 12, SE1/4-NW1/4 Kidder County. Accession Nr: IN1380__.228. https://glorecords.blm.gov/details/patent/default_pf.aspx?accession=IN1380__.228&docClass=STA. Kentucky, County Marriages, 1797-1954, Family Search, Meredith Mannon and Rachel Fugate, 14 Feb 1825 – Bond. Bath, Kentucky, United States, Madison County Courthouse, Richmond; FHL microfilm 273,003. https://familysearch.org/ark:/61903/1:1:V5ZH-L12. Mannin Family Bible, Copy, Mannin Family Bible – Family Records – Births. Bible Records found in Civil War record file of Zachariah Mannin, son of Meridith and Rachel Fugate Mannin. Zachariah died of smallpox Jan. 7, 1864 at Knoxville, Tennessee. Meridith Mannin applied for Zachariah’s pension and received it. From http://boards.rootsweb.com/surnames.mannin/159.1.1/mb.ashx. NOTE: The family should include both Thomas and Tubill, however, it appears that only one of the two is enumerated.